On February 21, 2018, the Virginia House of Delegates voted 99-0 (1 abstention) to approve HB 1251, a bill that will dramatically expand the state’s medical cannabis laws. The bill was sent to Governor Ralph Northam for signature and – thanks to an emergency clause recommended by the Governor himself – will be effective immediately once he signs. With this bill, doctors will now be able to recommend the use of medical cannabis oil to patients with any diagnosed condition or disease that the doctor determines will benefit from such use. The bill differs significantly from legislation in other states that allow recreational marijuana use. In Virginia, the use of cannabis will be highly regulated, require recommendation by a licensed physician, and will be strictly limited to CBD and THC-A oils (described in more detail below). However, this is big news as Virginia is now the first state to vote to expand highly restrictive legislation to give doctors complete autonomy in deciding the best treatment for their patients. 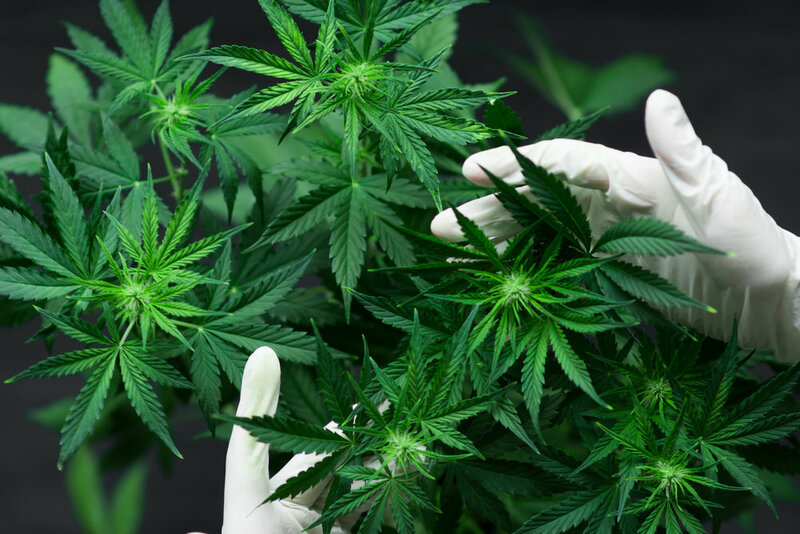 We can expect that the passage of HB 1251 will spark increased innovation in Virginia’s medical cannabis industry, but – like healthcare – this industry is highly regulated and those involved will need to proceed carefully. Nixon Law Group has been following developing legislation, regulations, and industry innovation, and we will be bringing insights to you over the course of the coming months as Virginia launches its medical Cannabis program. Sign up HERE to stay up to date on The Latest. In this article, we start with the basics. The potential for HB 1251 to allow doctors to improve overall quality of life in their patients through medical cannabis oil is broad and far-reaching. Medical cannabis oil has been proven to help patients manage chronic pain, and medical cannabis laws like HB 1251 are associated with significant reduction in state opioid overdose mortality rates. Specifically, states that adopted medical cannabis laws experienced a 25% reduction in deaths resulting from opioid overdose. Cannabinoids have also been linked with improved motor symptoms in patients with Multiple Sclerosis and Parkinson’s disease, and with improved symptoms in patients suffering from diseases accompanied by chronic inflammation. Medical cannabis generally takes two forms. Under current Virginia law, Cannabidiol (CBD) oil is a processed Cannabis plant extract that contains at least 15% CBD but not more than 5% tetrahydrocannabinol (THC). Tetrahydrocannibinol acid (THC-A) oil is a processed Cannabis plant extract that contains at least 15% THC-A but not more than 5% THC. Both forms are included in the bill and will be available for use. How will this impact doctors? Under HB 1251, Doctors may recommend the use of CBD oil or THC-A oil for “any diagnosed condition or disease” where they could previously only recommend such use to patients with intractable epilepsy. Doctors who recommend CBD or THC-A oil to patients will be required to stay up-to-date through medical-cannabis-specific Continuing Medical Education and pay an annual $50 fee to register with the state regulatory program. Notably, doctors will not be allowed to “prescribe” medical cannabis to patients, as “prescribe” is reserved for FDA-regulated products. Instead, they will recommend the use of medical cannabis oils to their patients, who will then obtain the oils through the state regulatory program. How will this impact patients? A patient with a valid recommendation from a doctor can register with the state regulatory program with an annual registration fee of $50. The patient can then obtain medical cannabis oils through one of five licensed facilities in Virginia. While possession of medical cannabis is still technically illegal, a valid certification serves as an affirmative defense for patients who are found to be in possession of CBD or THC-A oil. How will this impact Industry in Virginia? The facilities and operations needed to build, fund, staff, and run a medical Cannabis pharmaceutical processor are significant. On a recent tour of similar facilities in Colorado, Nixon Law Group Partner Rebecca E. Gwilt witnessed first-hand the scope and scale of similar operations. Licensees will need highly skilled security firms, builders, architects and general contractors, electricians and plumbers, marketing professionals, compliance professionals, packaging and labeling professionals, horticulturalists, chemists and engineers and more. Each of these groups will be operating in a brand-new industry under brand-new rules. This means big opportunity, but it also means potential risk. Nixon Law Group is following the emerging medical cannabis oil industry in Virginia very closely. We are prepared to assist businesses that will be leading the way in the industry, and we are excited to once again be on the leading edge of healthcare innovation. Contact Rebecca E. Gwilt, Esq. at 804.205.1265 to learn more about HB 1251 and how it could impact your company. **Special thanks to Kaitlyn O'Connor who assisted in the research and writing of this article.